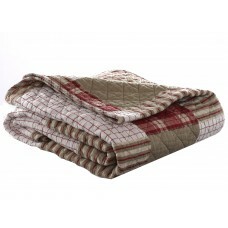 The Woolrich Huntington quilted throw features a classic pieced design with a mix and match of plaid.. The Micron Stripe Goose Down Alternative Blanket is a perfect choice for all season comfort. This ea.. This oversized quilted throw provides a light and airy update to your space. 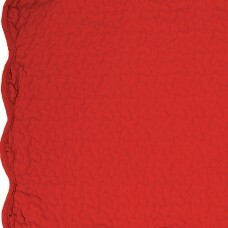 This unique update to a..
Eddie Bauer Cotton Quilted Throws are great to use in any room of your home. They are 100% cotton, f..
Drifting seahorses, bright corals and seashells bathed in golden beams create an ocean botanical san.. This Beachcrest Home quilted throw creates a casual coastal look. The throw features starfish and co.. This throw features colorful stripes and varying patterns to create a bohemian style lover’s dream. .. This fleece blanket, is softer than a bunny. In addition to being incredibly comfy with it's plush f.. This Fleece Blanket is softer than a bunny. This manufacturer knows actually compared the two. In ad.. This collection is a navy and tan story in a stars and bars patch work quilting pattern. It has 100%..
From relaxing on the front porch to curling up with a good book, we could all use a cozy extra layer.. 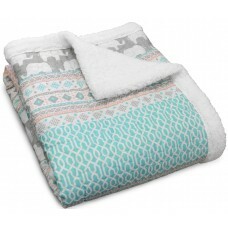 In a stress filled world, the whimsy of this Charles Cotton Throw provides much needed relief! This .. These cozy throws are just the right size for cuddling up! Not too big, and not too small. Makes a g..